The all new Kia Rio is here at Quirk Kia in Manchester, NH! The Kia Rio is an impressive compact car that gets an estimated 27 MPG city and 36 MPG highway. This functional vehicle features a Gasoline Direct Injection (GDI)Engine that produces efficient power. The sporty Kia Rio offers 88 cu. of passenger space and 13 cu. of cargo volume. This provides convenience and extra space to feel comfortable. 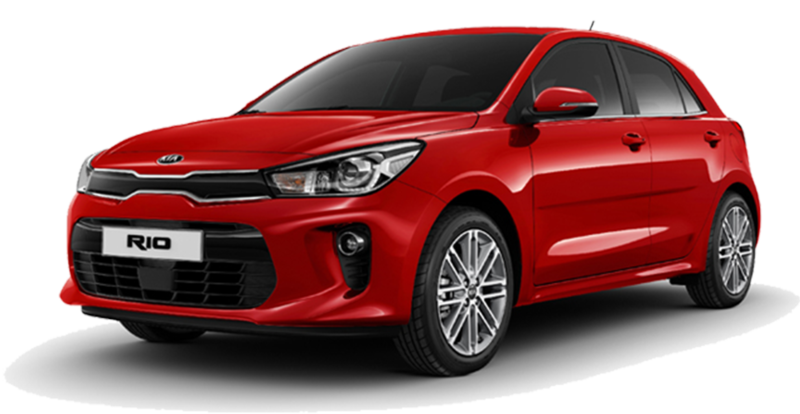 The Kia Rio has many available standard features such as power heated exterior mirrors, halogen headlights, and LX, EX, SX trims. At Quirk Kia of Manchester, we offer a wide variety of trims and colors. So come visit us today and test drive a new Kia Rio. Our friendly and professional service staff will assist you throughout the buying process. Lets us know how Quirk works for you! Scores 37 Highway MPG and 28 City MPG! This Kia Rio delivers a Regular Unleaded I-4 1.6 L/97 engine powering this Automatic transmission. OPTION GROUP 010 -inc: standard equipment,, CLEAR WHITE, CARPET FLOOR MAT. * This Kia Rio Features the Following Options *BLACK, WOVEN CLOTH SEAT TRIM, Woven Cloth Seat Trim, Wheels: 15 x 5.5j Steel w/Full Covers, Variable intermittent wipers, UVO eServices 911 Connect Emergency Sos, Urethane Gear Shift Knob, Trunk Rear Cargo Access, Trip computer, Transmission: 6-Speed Automatic, Torsion Beam Rear Suspension w/Coil Springs. * Visit Us Today *Stop by Quirk Kia NH located at 1300 South Porter Street, Manchester, NH 03103 for a quick visit and a great vehicle! Scores 37 Highway MPG and 28 City MPG! This Kia Rio boasts a Regular Unleaded I-4 1.6 L/97 engine powering this Automatic transmission. OPTION GROUP 010 -inc: standard equipment,, CLEAR WHITE, CARPET FLOOR MAT. *This Kia Rio Comes Equipped with These Options *BLACK, WOVEN CLOTH SEAT TRIM, Woven Cloth Seat Trim, Wheels: 15 x 5.5j Steel w/Full Covers, Variable intermittent wipers, UVO eServices 911 Connect Emergency Sos, Urethane Gear Shift Knob, Trunk Rear Cargo Access, Trip computer, Transmission: 6-Speed Automatic, Torsion Beam Rear Suspension w/Coil Springs. * Visit Us Today *Test drive this must-see, must-drive, must-own beauty today at Quirk Kia NH, 1300 South Porter Street, Manchester, NH 03103. Boasts 37 Highway MPG and 28 City MPG! This Kia Rio delivers a Regular Unleaded I-4 1.6 L/97 engine powering this Automatic transmission. OPTION GROUP 010 -inc: standard equipment,, CARPET FLOOR MAT, BLACK, WOVEN CLOTH SEAT TRIM. *This Kia Rio Comes Equipped with These Options *AURORA BLACK, Woven Cloth Seat Trim, Wheels: 15 x 5.5j Steel w/Full Covers, Variable intermittent wipers, UVO eServices 911 Connect Emergency Sos, Urethane Gear Shift Knob, Trunk Rear Cargo Access, Trip computer, Transmission: 6-Speed Automatic, Torsion Beam Rear Suspension w/Coil Springs. * Visit Us Today *Test drive this must-see, must-drive, must-own beauty today at Quirk Kia NH, 1300 South Porter Street, Manchester, NH 03103. Boasts 37 Highway MPG and 28 City MPG! This Kia Rio delivers a Regular Unleaded I-4 1.6 L/97 engine powering this Automatic transmission. OPTION GROUP 010 -inc: standard equipment,, CLEAR WHITE, CARPET FLOOR MAT. * This Kia Rio Features the Following Options *BLACK, WOVEN CLOTH SEAT TRIM, Woven Cloth Seat Trim, Wheels: 15 x 5.5j Steel w/Full Covers, Variable intermittent wipers, UVO eServices 911 Connect Emergency Sos, Urethane Gear Shift Knob, Trunk Rear Cargo Access, Trip computer, Transmission: 6-Speed Automatic, Transmission w/Driver Selectable Mode and Sequential Shift Control. * Visit Us Today *Stop by Quirk Kia NH located at 1300 South Porter Street, Manchester, NH 03103 for a quick visit and a great vehicle! Scores 37 Highway MPG and 28 City MPG! This Kia Rio boasts a Regular Unleaded I-4 1.6 L/97 engine powering this Automatic transmission. OPTION GROUP 010 -inc: standard equipment,, CARPET FLOOR MAT, BLACK, WOVEN CLOTH SEAT TRIM. *This Kia Rio Comes Equipped with These Options *AURORA BLACK, Woven Cloth Seat Trim, Wheels: 15 x 5.5j Steel w/Full Covers, Variable intermittent wipers, UVO eServices 911 Connect Emergency Sos, Urethane Gear Shift Knob, Trunk Rear Cargo Access, Trip computer, Transmission: 6-Speed Automatic, Transmission w/Driver Selectable Mode and Sequential Shift Control. * Visit Us Today *Come in for a quick visit at Quirk Kia NH, 1300 South Porter Street, Manchester, NH 03103 to claim your Kia Rio!